Barbies/Princesses: This is probably her favorite thing right now. Last year for Christmas she kept asking for “a big ol’ pile of princesses” which we figured out meant the big set of Princess Barbies. She probably plays with these more than anything else. She likes regular Barbies too, not just princesses. My mom got her a little fold up Barbie house for her birthday and she loves getting out all of her Barbies and pretending to play with them in the house. She has a cute little high pitched Barbie voice and when I’m playing with her she wants me to talk in that voice too. It’s pretty precious. Audrey likes to play with Barbies too, but I think that if it weren’t for big sister she wouldn’t be as interested. Dress up clothes and accessories: She’s been obsessed with dressing up for almost two years now. It is something she has done nearly every day since then. She loves all of it – the dress, the tiara, the jewelry, the shoes, the purse. She even has some gloves that she calls “hand-in-gloves” which is pretty adorable. Sticker Books: Raley has been super into these Dress-up dolly books lately. They’re more advanced and she’s just recently gotten the hang of how to do them. They have specific outfits for the fairies on each page. I have to help her figure out what outfits go with what pages, but once I tell her she loves to dress all the fairies and put shoes/bows/hats/whatever on them. She has even caught onto the fact that some fairies have both arms up or one up and one down so you have to pick an outfit where the arms match. I love watching her play with these because it’s just a good, quiet playtime activity. There are several different books and most of them are $3-5 on Amazon. I ordered a couple for Raley for her birthday and a few extras to give out as gifts. 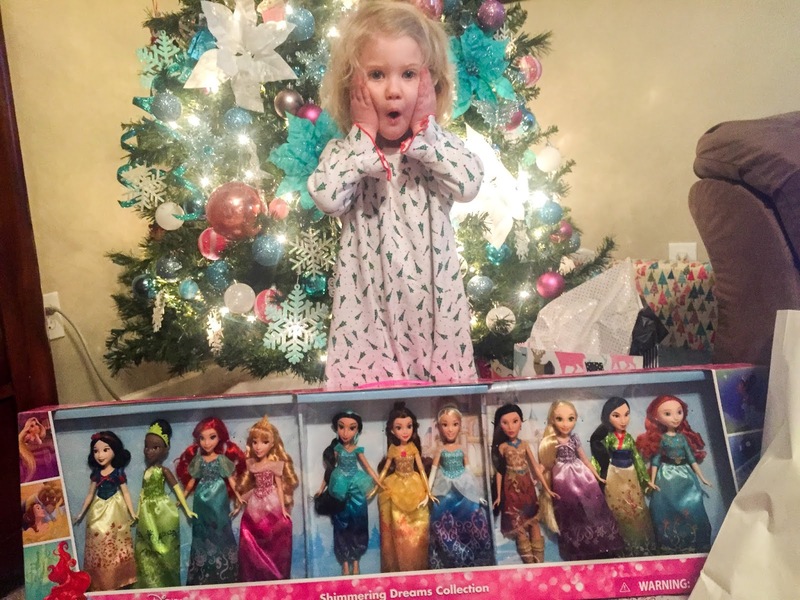 Princess Cupcake Party Game: Raley’s Aunt Lindsey and Uncle Brian got her this Disney Princess Enchanted Cupcake Party Game for Christmas last year and it was a HUGE hit! She loves this game. Right now it is mainly a game that we play when Audrey is asleep because I still don’t trust her not to put the pieces in her mouth. But Raley loves lining her princess dolls up, putting the cupcakes together and then passing them out. Each princess has a card and it shows which pieces go together to make her cupcake and she’s gotten very good at looking at the card and matching which pieces go together. It’s been fun to see her learn through this game. 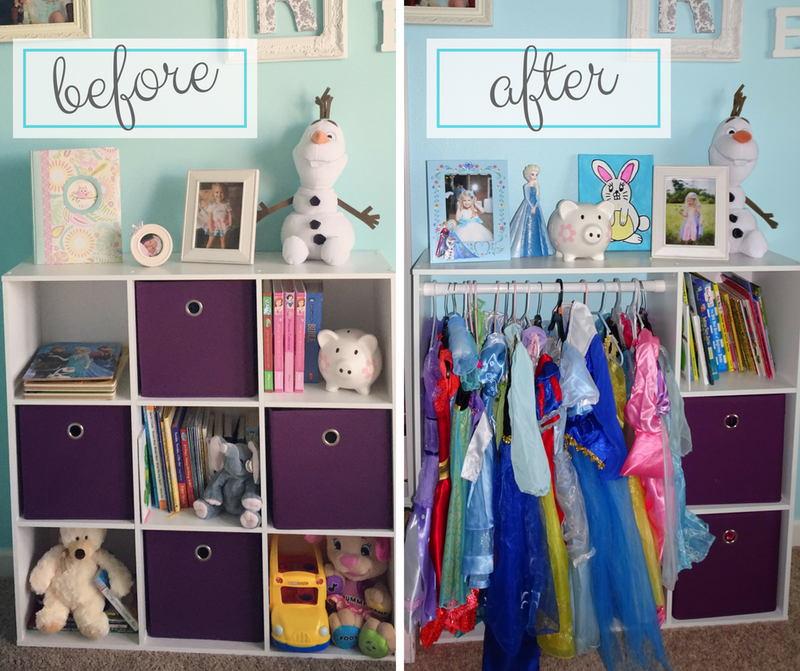 If you’re shopping for a 3-4 year old girl who loves princesses, they’re sure to love this game! Little People: Both of my girls love Little People, but right now this is definitely one of Audrey’s favorites. If you don’t know what they are, they are these short little plastic figurines that come in all kinds of different characters. They make a Disney princess castle, Mickey Mouse house, a bus with a driver and passengers that sings “Wheels on the Bus,” a barn with a farmer and all kinds of animals, and so much more! Both the Princess Castle and the Princess Garden Party have a spot where you can put each princess on it and it knows which princess it is. It says sayings and sings in that princess’ voice, which I think is pretty cool. The best thing about these toys is that the pieces are not so small that a child could choke on them. Both of my girls have loved these toys since they were under a year old. Audrey loves animals so this is her favorite right now. It’s so cute to listen to her say what animal it is and make animal sounds. This one is great too because it folds up and all the animals fit inside. You can buy extras separately. Kitchen: Again, their pink vintage kitchen is one that they both like, but Audrey has been very into it lately. She likes to play with the different foods and pretend to eat them or serve them to us or her baby dolls. Raley still plays with this one a good bit too, so this would be a good investment for a 1-2 year old. You will probably get several years of play out of it. This play grill is a good alternative for boys. Books: Audrey loves to look at books, especially books with animals. I like to find books that have lots of different things in them and as we’re reading point out the different things in the book. One of our favorites is “On the Night You Were Born” by Nancy Tillman. I started pointing out different things on each page – moon, stars, baby, scarecrow, dolphin, ocean, tree, bird, polar bear, etc. After doing this a couple nights in a row she started picking up on different items. It’s incredible how quickly kids pick up on words at this age. Their minds really are like sponges soaking up everything that is going on. Most mornings the first thing she asks for is a book. Baby dolls and accessories: They are just too cute playing mommy to their babies. Raley has loved baby dolls since she was around a year old and Audrey is starting to get more into them now. She loves to copy big sister, which is so sweet. The other day Raley had a baby in the cradle and was rocking it and singing songs to it. As soon as she was done and took her baby out, Audrey put a baby in the cradle and did the exact same thing, singing the exact same songs. Oh it was just so precious. They love all kinds of doll accessories as well. They like to change their clothes, sit them in a high chair and feed them, wrap them up in a blanket (or an old burp cloth) and rock them to sleep, pack a diaper bag for them, put them in a stroller and take them shopping. The kitchen comes into play frequently when they’re playing with dolls. They like to pretend to cook them food and then serve it to them. When Raley was 2 all she wanted for Christmas was a “dolly.” So Santa brought her this dolly that she still plays with today and Audrey gets to enjoy as well. She also loves her Bitty Babies from American Girl. Anyway, I love puzzles. I think they’re a great learning tool for all toddler and preschool ages. Blocks: Raley has had a bucket of Mega Blocks since she was around a year old but up until recently was not super into them. All she wanted to do for a while was dump them out and play in the bucket, but then after a while she just ignored them all together. It got to the point that I was seriously considering selling or donating them. But then all of a sudden she started wanting to play with them every time we played upstairs in our playroom. Then Audrey decided that she wanted to play too (because she has to do everything big sister does.) So, we kept the blocks and I’m sure they will be sticking around for a while! I hope you find this list helpful when shopping for a child’s birthday, or Christmas coming up! What are your kid’s favorite toys? If you have older kids I’d love to hear from you as well. Because I’m always stumped when it comes to buying toys for kids older than mine.